First, upload the file in an image hosting software like imgur. Then copy the image address (not the page address) and use the image tags to show it here. There you go, nice work. One thing, the shading next to the clothing, other then that, you are good. Thanks man, means a lot coming from you. love your work as well. sonson / amingo / saki / michelle heart / arthur? will be great to have portraits for capcom and x-men / avengers heroes too. 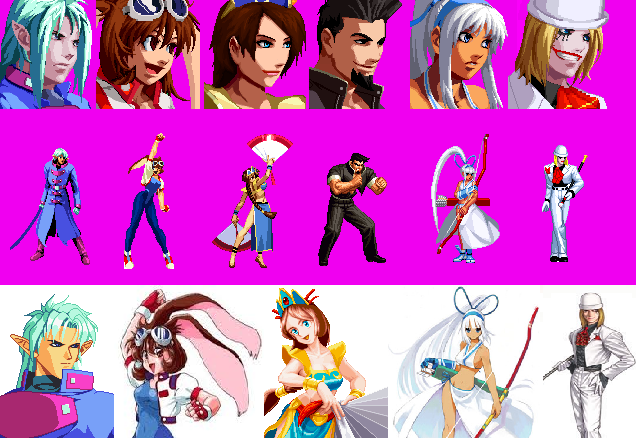 nope, my aim was to finish the KOF characters and some capcom ones that have kof style sprite sets. How much will it cost me for a Blair Dame, Skullomania,Nash, Psylocke and I need to check a few more that I might need ? Hmmm, I know that I already made nash, I'm pretty sure if you download that folder in the first post he should be in there. Blair dame should not be that hard, psylocke too but I'm not sure how I would go about making skullomania. I'll have to look that one over. yeah see here he is. Thanks. This is the roster i'm rockin, I believe most of these are already made, there is a few missing though, If possible maybe we can work something out, I would also love if the ports were posted here so other people can make use of them too. These ports will look great on the select screen and I would use them for the lifebars too. You can't just link something straight from your computer. Use imgur or tinypic or w/e. Hi guys! This is my first time posting something here. I recently realized that some characters of fighting games do not get as much love as KOF or STF characters. So I decided to do some portraits. OBS: Since this is my first time, I need some honest feedback! Thank you! Thought i saw someone on deviantart making syota sprites, he would be a cool addition. As for your portrait set, the best one of the set is mina; you did some great Frankenspriting although the hue of her skin is too high. I had a similar problem when I first made reiji. 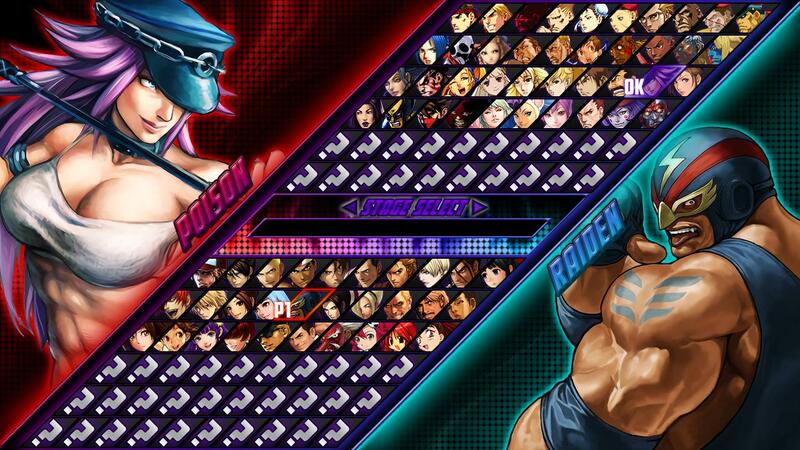 A good idea would be to reference the others that were made by SNK or even some of the others for skin color. All the others seem okay but are in need of quite bit cleaning, buffing and smoothing. White's hat and hair are out of place because of the k9999 head tilted, may want to make the hair shorter on the left and longer on the right. Keep working at it, make comparisons and duplicate the style.